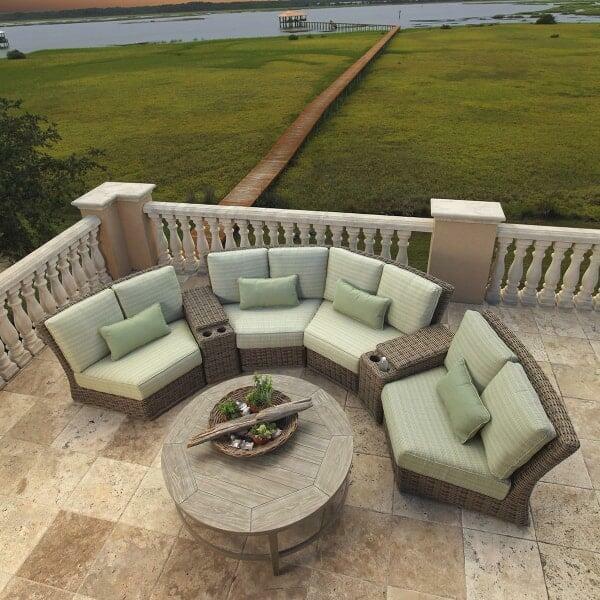 Fashionable, Functional, Modular Furniture Made For The Outdoors! 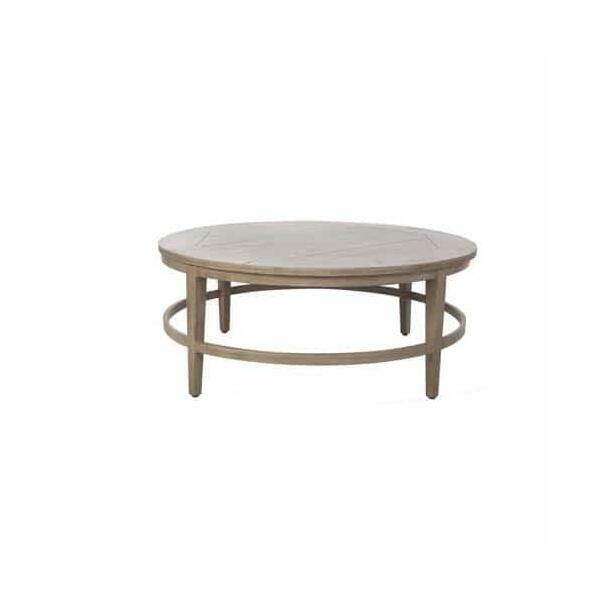 While you could pair this collection with the round Portofino chat table listed below, why bother? 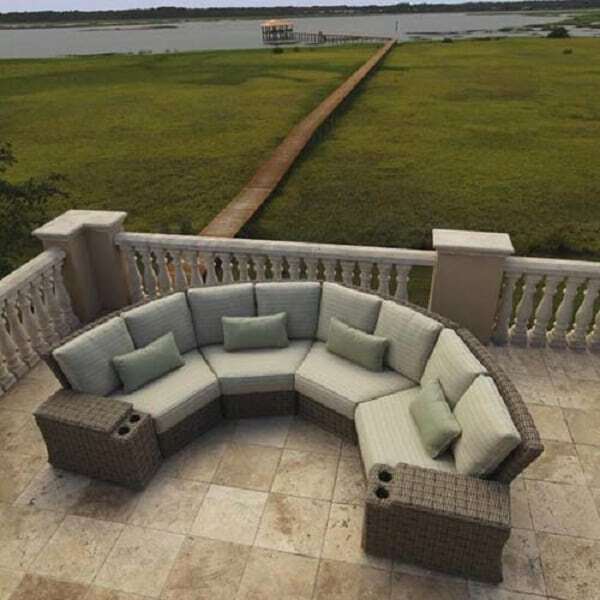 With functional armrest inserts and sections that act like built-in side tables complete with convenient cup holders, there's really no need for additional tables. 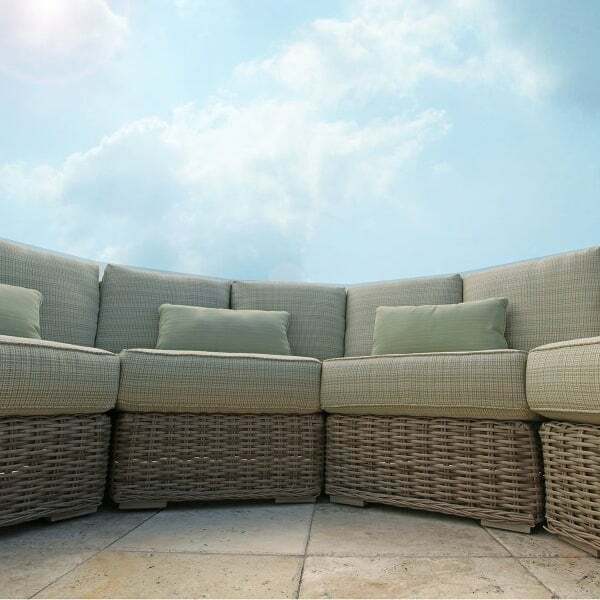 Ebel designers created this sectional furniture to copy the style, function and comfort of indoor theater seating. 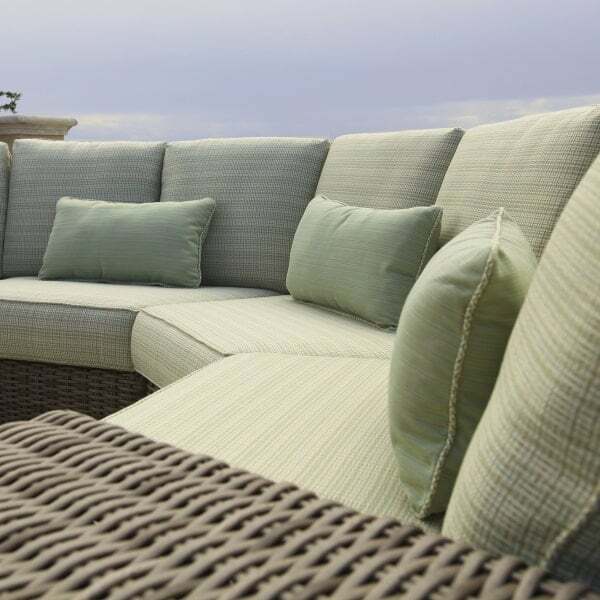 Modular in nature (each section is easy to move), combine several of the wedge sections with two armrest sections for a curved outdoor sofa unlike anything guests have ever seen. It's quite exceptional. 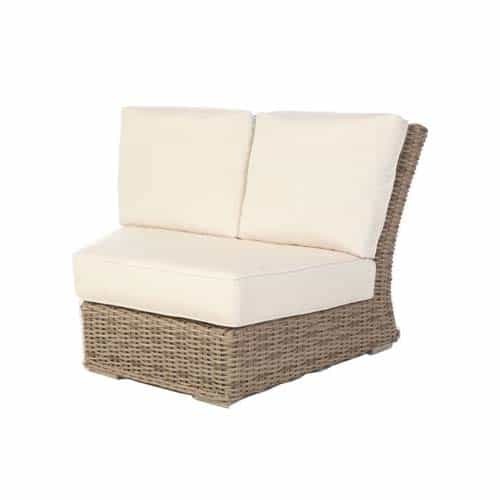 The comfort is unlike other patio furniture, with a plush seating experience similar to indoor living room sofas. 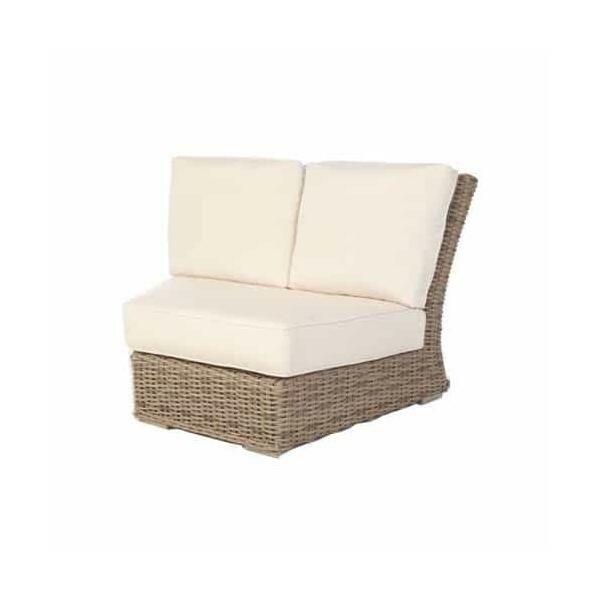 Designed for outdoor use, this fashionable wicker material comes in either a Driftwood or Chestnut color. 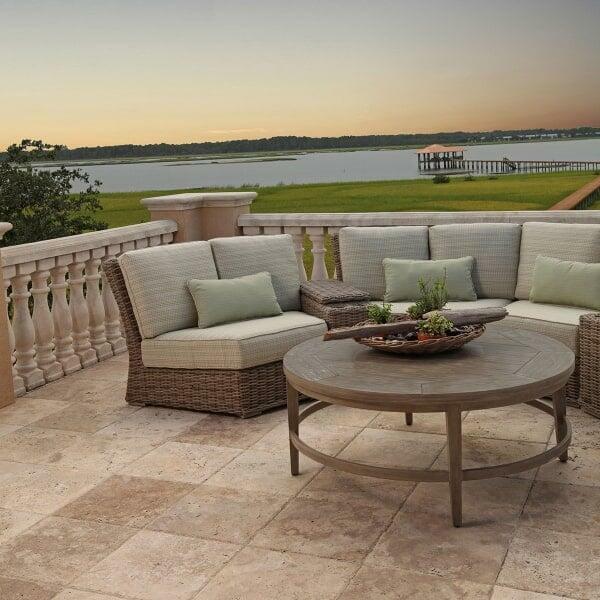 The polyethylene weave will resist water, mold, mildew and UV damage, perfect for placement outdoors on a patio or deck or under a porch or veranda. 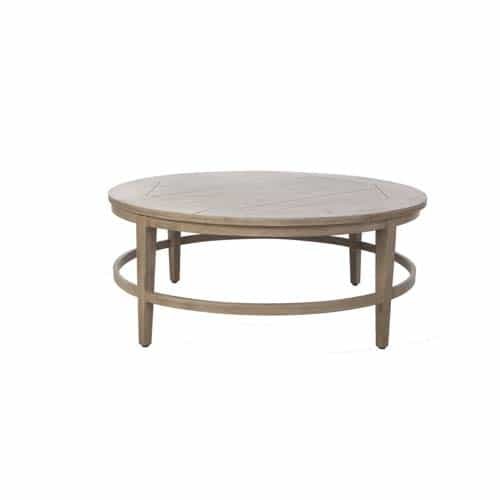 W 50" x D 38.5" x H 38.5" - 78 Lbs. W 23.5" x D 34.5" x H 23" - 24 Lbs. W 9" x D 22.5" x H 16.5" - 12 Lbs. W 50" x D 50" x H 20" - 75 Lbs.